WELCOME to my official website where you can gain unparalleled instruction and novel resources to help you and your patients/clients/community and loved-ones grow healthier, happier and positively prospered in all great ways, including financially. I help health-seekers and care-givers quickly gain improved health, happiness, and financial freedoms by using and sharing my nearly half-century of knowledge and clinical expertise. And I help entrepreneurs, corporate chiefs, inventors and manufacturers develop extraordinary self-help products and programs. That’s right, in 1975 I was already teaching anatomy at Tufts Univ. to medical and dental students, training dentists in acupuncture at Boston Univ. Medical Center. I followed that earning two post-doctoral faculty posts teaching and researching behavioral science, media persuasion, social engineering, public health, pain and fear-reduction therapies, and stress management at Harvard Univ. and Leslie College’s Institute for the Arts and Human Development in Cambridge. My process of “education” derives from its root word, edu-care.That means to lovingly “draw forth from within” your unique talents and gifts to fulfill your longings and passion. As a whole person in body, mind, emotions, and spirit you are extraordinary. I help you discover how much, and apply more of what makes you great and more successful. Today, my holistic educational programs feature the art and science of inspiring total health and well-being through “energy medicine.” I demystify spirituality, placebo effect, and even miraculous manifestations using solid science, especially physics and mathematics. I train people on the fastest ways to recover optimal health. 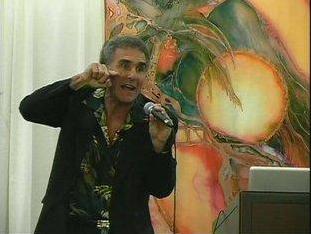 My works have advanced the fields of music therapy, and consumer safety and recovery in vaccinology. 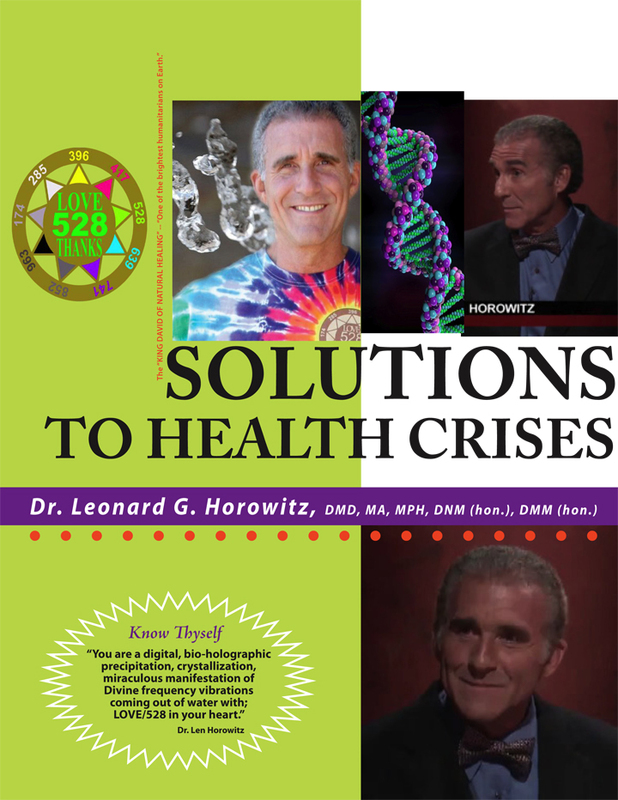 My books and films have inspired Hollywood producers and famous doctors. 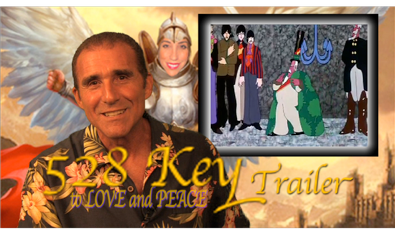 Researchers, political leaders and entertainers worldwide integrate my teachings. My product developments and students uniquely integrate the physical and metaphysical healing arts and sciences, as well as the social and behavioral sciences, all impacting health, happiness and overall wellness. My videos producing “Frequency Rehab” are great examples of this. My innovations shatter many myths in medicine and pseudo-science. For these reasons, I easily and justifiably trounce “skeptics” and ignorant arrogant naysayers, atheists and pagans. I blow my competition and critics away with solid science, real world evidence, widely-known facts, and common sense. I don’t see competition as bad, but cooperation as preferable. Few perceived “competitors” can compete against my extensive academic training, international following, massive numbers of publications in print, audios and award-winning films. Most importantly, my adversaries can’t diminish or control the thankful health professionals and consumers who have benefited from my words and works. Their “word of mouth” has celebrated my heroism and expanded my success. My expertise and pioneering works in natural healthcare, water science, energy medicine, and holistic healing has prompted global movements empowering millions of people to be healthier, happier, and more prospered in all positive ways. Ever hear of the importance of body “alkalinity” in healing and prevention? My colleague James Karnstedt and I pioneered this field. Ever hear of Dr. Masaru Emoto, and “structured” or “clustered” water delivering “messages” microscopically? Dr. Emoto was a dear friend of mine, and I was his leading science advocate. 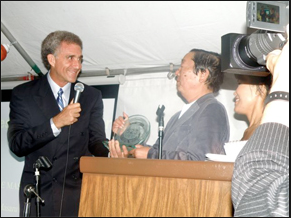 I opened for Dr. Emoto in 1998 on his first night in the U.S. with his first book. 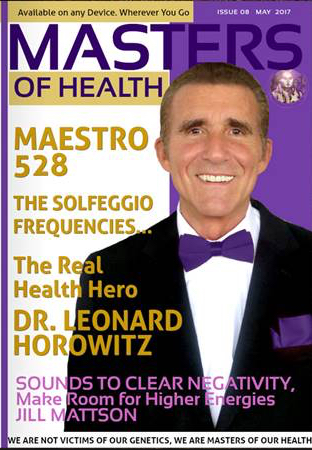 Together, we inspired masses of people internationally with our controversial philosophies, advanced views on healthcare, water research, and loving developments in frequency therapies. Ever hear of vaccination risks? I am one of only three American doctors who published irrefutable intelligence urging a moratorium on the practice until the safety can be assured. 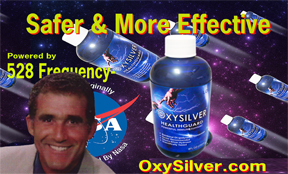 Ever hear of the antibiotic alternative, OxySilver? I advanced NASA science to manufacture it. I branded it, brought it to market and made sure it resonates with the 528nm/Hz frequency of light and sound (respectively) to be optimally effective. Ever hear of “Liquid Dentist“, the most wonderful oral health and general immunity booster. I co-formulated it and brought it to market as well. 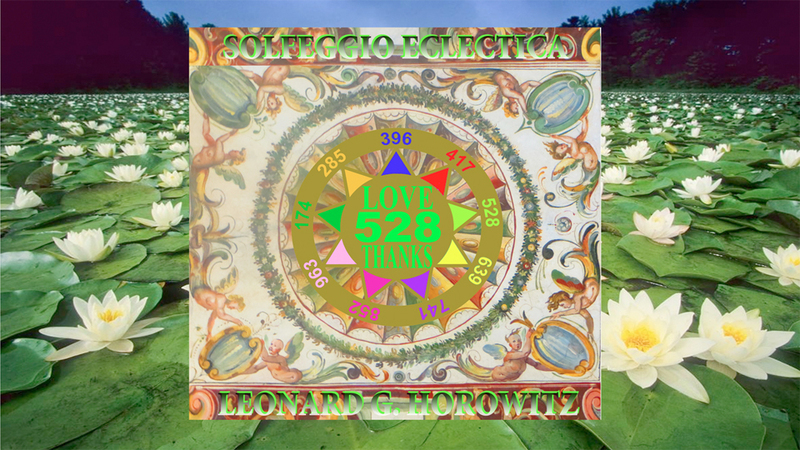 I pioneered the field of Solfeggio frequency applications in health science, music video therapies, and published more extensively than anyone globally on the unique, powerful and exploding genre of music made in 528 frequency of sound and light. I also prompted 432Hz music fans to consider these frequencies in the first place. I introduced these now famous frequencies’ use in clinical practice, the performing arts, and sciences. 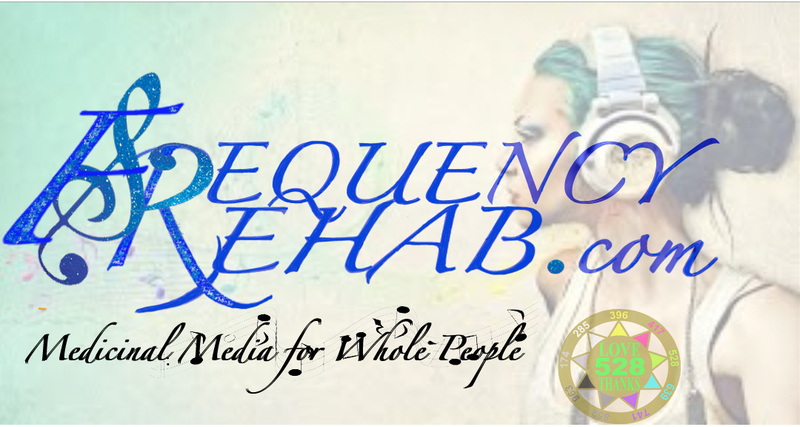 My partner, Sherri Kane, and I launched 528Records.com and 528Radio.com that transposes music into the 528 “LOVE frequency” and broadcasts it 24/7/365. I specialize in working with highly motivated professionals, thought-leaders, health coaches, group service providers, community organizers, activities directors, and committed educators with high integrity. My students and clients trust me most honorably for what I’ve done for them and the humanitarian contributions I have made globally. People are astonished by the assaults I have overcome. I teach how to overcome adversity in life and business. I model fulfilling your desire for exceptional success and honorable achievement. My students and clients deserve the success more counsel encourages. My disciples following my advice, lesson plans, and reap awesome rewards. Their road to “prosperity in all ways” is often bumpy, but the wisdom and skills to turn lemons into lemonade is what I leverage to overcome whatever. My publications and online training programs make science more easily-understood. I share powerful protocols, and great lessons. I do private consulting when requested, intensive training events, and keynote speeches at health and wellness conferences. I am widely known for guiding civilization to nature’s most powerful music and natural healing frequencies applicable to many industries, commerce, products and services. Your bio-energy levels, electromagnetic and bio-acoustic flow, and “spirituality” are intertwined with your thoughts, emotions, and actions. Energy electrons vibrate at precise frequencies accommodating your every move, spirituality, and healing. You can use this knowledge, and the exercises and products I recommend, to prompt natural healing and faster recoveries. 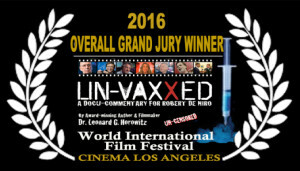 As an internationally-known celebrity, polished professional, adventurous pioneer, consumer advocate, drug and vaccine industry whistleblower, often called a “hero” by people and even a “polymath” by my peers, I defend against the smearing of natural medicine and holistic health practices and practitioners. I cordially invite you to take one of my online courses, and benefit from the many products I have developed or endorse on HealthyWorldStore.com and my sponsors on CureShoppe.com. 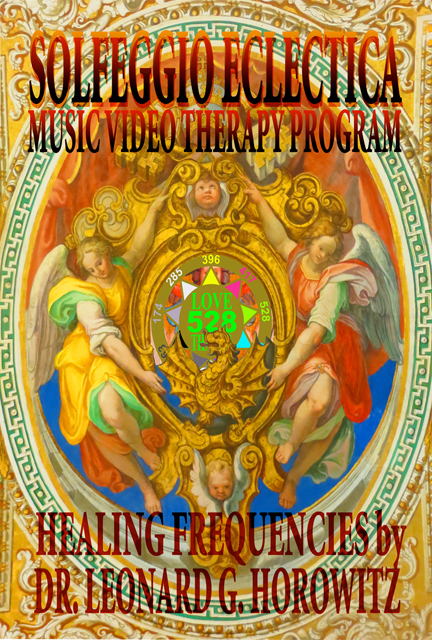 LEARN MORE ABOUT THE FREQUENCY REHAB SET OF 8 MUSIC VIDEOS FOR NATURAL HEALING. 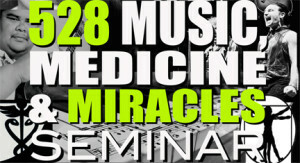 CLICK HERE TO VIEW DR. HOROWITZ’S 9-MINUTE MUSIC VIDEO THERAPY PROGRAM TRAILER. 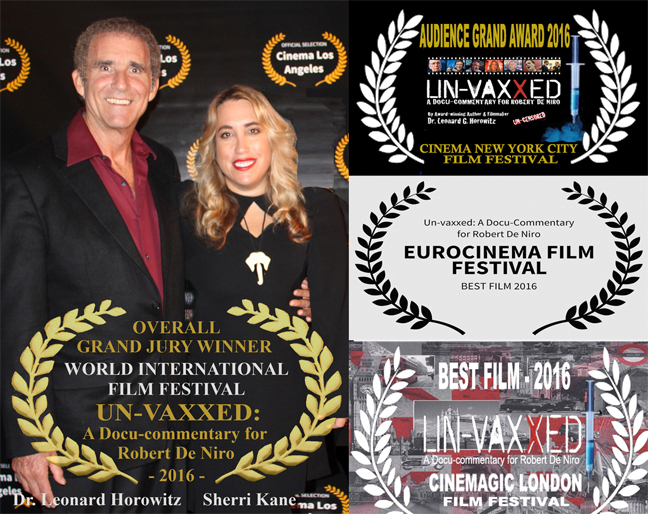 Dr. Horowitz’s first of three American bestsellers, Emerging Viruses: AIDS & Ebola–Nature, Accident or Intentional?, is largely credited for prompting the global vaccination risk ￼awareness movement. The book caused several governments to reconsider their “immunization” policies, and became the center of political debate in 2008 when Barack Obama’s minister, Rev. Jeremiah Wright, credited Horowitz and this book for evidencing HIV/AIDS as a genocidal weapon of mass depopulation targeting Africans and African Americans courtesy of covert U.S. military contractors named in the publication.